Street Photography can be fun under normal conditions but I like the challenge of shooting at night. I recently featured some street photos pre-ROT Rally parade, but I tried my hand afterwards, after nightfall. 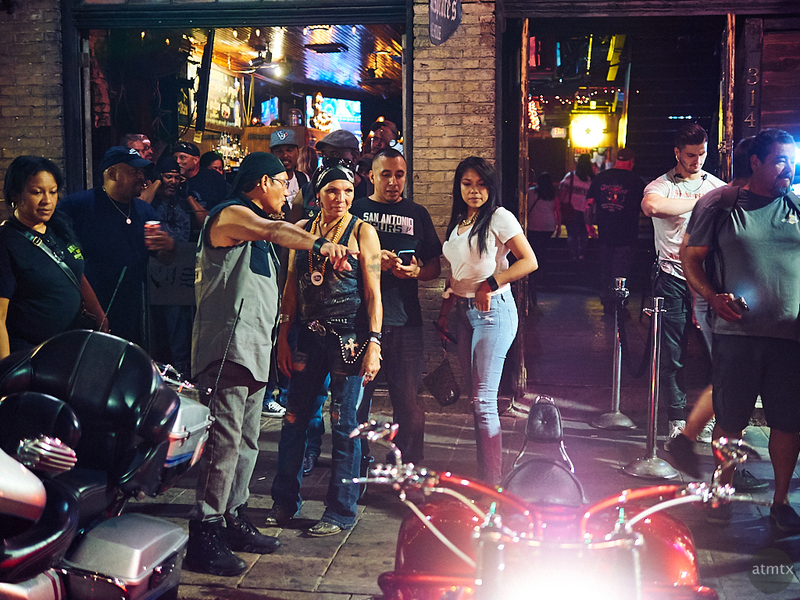 The scene on 6th Street is one of pride and appreciation as owners and spectators meet. The truly unique bikes get all the attention, a scene which I captured here. Unlike my usual black and white street images, I decided to keep the color but apply a film-ish look. In this case, a Kodak Ektachrome mid-70s blue effect. To keep a respectable 1/50 of a second shutter, I shot at ISO 2000 at f1.4 with the Olympus PEN-F and the Panasonic Leica 50mm equivalent lens.